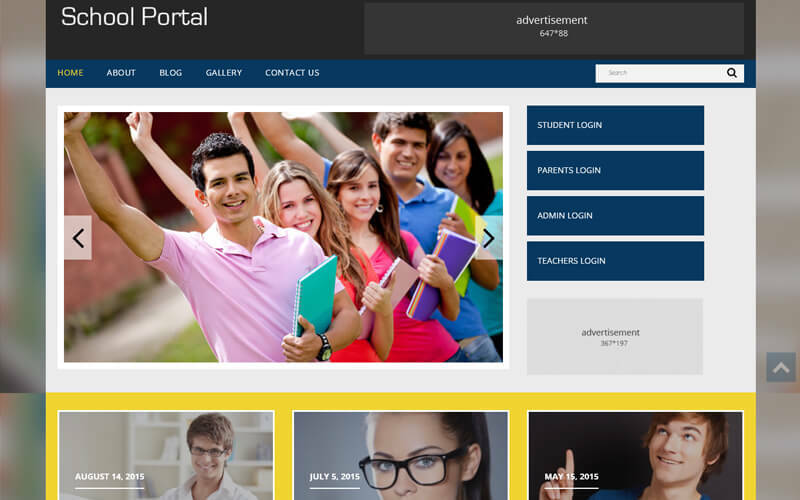 Entrepreneurs are looking for the result oriented school college ERP portal for the successful business startup, through the internet era we are digitalizing web school portal which connects staff, student, management, and parents in a prominent way for school, colleges,and university etc. As the name implies our web-basedEducational ERP‎ Scriptconnect the organization in a single database since Education ERP Software is the emerging and high demanded solutions for education industries. We have developed our ERP Software with comprises of Staff Management panel, Student panel, and a parent panel. By using dedicated credentials one can access their dashboard efficiently.In the staff management view, staff can add student database like mark sheet, register id etc. It is easy to manage the class by creating a class timetable and subjects. One can manage Attendance, Exam marks, Transport details, notice board management, communication through email compose/inbox and more. On the other side, the system ofCampus Management ERP‎ Scriptthe student can get regular updates in the student dashboard.A student can view the subject through the timetableand exam schedule. In the dashboard, we have added many features to get a successive access to the student like managing the study materials with exporting in CSV, PDF format and can take printoutif needed. Every student gets library news and notice board updates in the panel and the users are allowed to pay the fee and can view the invoice details within the dashboard.Apart from this, we have integrated a secure PayPal as the default payment gateway. At last, we move on to the parent management which is an essentialplatform in the School College ERP portals. In this section,a registered parent can have right of entry to view teacher details, student remarks, fee invoice structure, library access, notice board news, and more. Thisuniversity ERP portalis exclusive for all education industries even if you were small scale or large scale institutions. To be SEO friendly and responsive, with bootstrap design our School College Portal with ERP Scriptwill have designed to be mobile responsive and will support all major devices, cross browsers accordingly. Exclusively designed to be SEO-friendly with Google standards so that you need to work for SEO concepts.Notable service of technical support and source update is the additional benefits to the clients. I was able to receive the top quality information. Thank you for your wonderful support for being with me throughout the process of installation. This script has a good design quality. . I request the company to give more software’s like this. This script has a faster response. I was profited so much by this script. I don’t have technical knowledge about this script but with the help of technical team I was able to overcome it. Thank you guys for your wonderful support I suggest all to buy this script and keep enjoying.